Visit Atlanta for a first-class entertainment experience. Whether you’re into live music, food and wine or sports, Atlanta events offer non-stop fun and excitement all year round. Start your event search by selecting from the categories featured below. Whether it’s jazz night at the High or opening night for a Broadway production, you can rest assured that there will be something going on in Atlanta’s cultural scene. From electronic dance music to an orchestra and national touring acts to local legends, our Atlanta Music Events list will help you plan your weekend. There is no shortage of family fun in Atlanta. Outdoors or in, summer or fall, Atlanta is the place to be for family-friendly events. Food and wine festivals, beer carnivals and special themed dinners at local restaurants are the norm around here and there’s certain to be an exciting foodie event happening while you’re in town. Looking for things to do in Atlanta that won’t break the bank? We’ve got you covered with this list of free events in Atlanta. 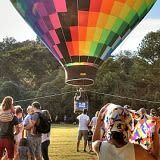 Whether it’s a 5k or festival you’re interested in, we’ve got you covered, so throw on some sunscreen and get out in the great Atlanta outdoors. With six professional sports teams and top-notch venues, Atlanta is the place to be for non-stop sports action all year long. Find the hottest events and can't-miss things to do this weekend in Atlanta! 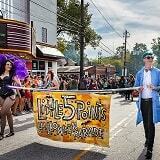 Discover 9 awesome parades taking place throughout the year.